Logline: A mentally ill man goes to a therapist who falls in love with his brother, and all the while the patient thinks he’s found his soul mate, a woman who may not exist. Executive Producer(s): Brian Shoaf, Corey Moosa, Robert Halmi Jr.
SSN Insight: Zachary Quinto will also appear in the upcoming films Snowden and I Am Michael and is executive producing Holidaysburg for Starz. Logline: When Lucy comes out of the Brooklyn subway and finds her neighborhood under attack, she crosses five dangerous blocks of Bushwick with her new companion Stupe to get home to her grandmother. SSN Insight: Dave Bautista’s upcoming films include Kickboxer: Vengeance, Marauders and The Warrior’s Gate. He’s also attached to Guardians of the Galaxy Vol. 2 and Highlander. Logline: Days before the fall of the Berlin Wall, the chase is on to find a list which names the identities of all Cold War spies … on BOTH sides. Details: Based on the graphic novel “The Coldest City” by Antony Johnston; published by Oni Press May 29, 2012. SSN Insight: Daniel Espinosa was previously attached to direct. Logline: A man who works in a New York ad agency finds his life turned upside down when a tragedy sends him into a depression, and his colleagues set out to lift his spirits. SSN Insight: Hugh Jackman, Johnny Depp and Rooney Mara were all previously attached to co-star. Logline: Four high school senior girls party hard before parting ways for college. SSN Insight: Project was included on the 2013 Black List. Logline: In a city where greeting card writers are celebrated like movie stars, Romance writer Ray used to be the king. In trying to recapture the feelings that once made him the greatest, he gets entangled in a web of murder and deceit as writers vie to create the perfect card for a new holiday: Girlfriend’s Day. SSN Insight: Krysten Ritter, Rainn Wilson, and Dennis Farina previously attached to star. Project was previously in development at Next Wednesday Productions and BiteSize Entertainment. David Cross, Bryan Cranston, David Koechner and Fred Armisen were previously attached to co-star. Logline: The trials and triumphs of Rafe Khatchadorian as he uses all of his wits to battle bullies, hormones and the tyrannical test-obsessed Principal Dwight. Details: Based on the book “Middle School, The Worst Years of My Life,” written by James Patterson and published by Little, Brown and Company on November 6, 2012. SSN Insight: James Patterson novels Guilty Wives, Maximum Ride, The Dangerous Days of Daniel X, Virgin and The Postcard Killings are all in development right now to be made into features. Logline: Two car thief brothers journey to the south of France for new challenges and wind up in the crosshairs of the local crime boss. SSN Insight: Alex Pettyfer and Matthew Goode were previously attached to star. Karl Urban, Ben Barnes, Emilia Clarke and Sam Claflin were previously attached to co-star. Logline: A lawyer sees the ghost of his dead son, which leads the man’s estranged wife back into his life. SSN Insight: Lee Pace will also be seen in the upcoming films Revolt, produced by Voltage and IM Global and The Book of Henry, to be released by Focus Features. Logline: A man moves into his attic after a nervous breakdown. Details: Based on the short story “Wakefield” written by E.L. Doctorow and published in The New Yorker on January 14, 2008. SSN Insight: Bryan Cranston can currently be seen starring in Trumbo and will next be seen in the films The Infiltrator and In Dubious Battle and be heard in Kung Fu Panda 3. Logline: A woman from the closely guarded amazon homeland of Paradise Island travels to the outside world and becomes Wonder Woman. 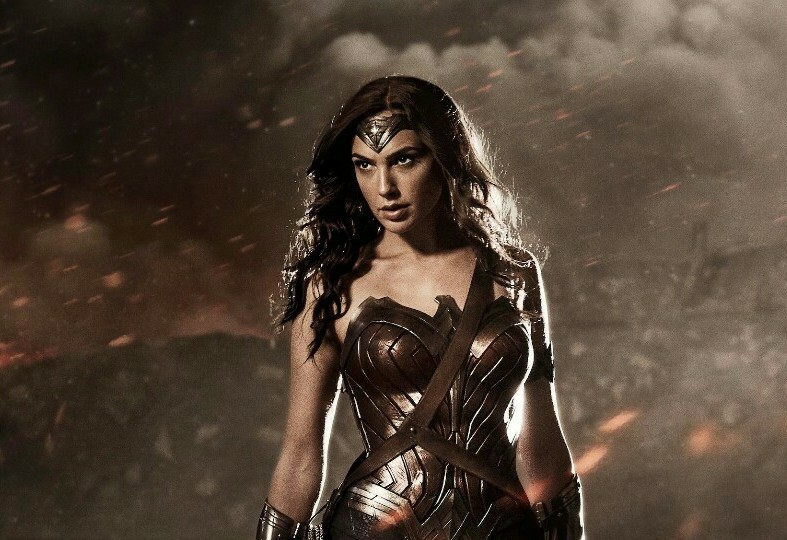 Details: Based on the comic book “Wonder Woman” written by William Moulton Marston published by DC Comics. SSN Insight: Warner Bros and Silver Pictures bought a “Wonder Woman” spec script by Matthew Jennison and Brent Strickland in February 2007. Their take was Wonder Woman set against the backdrop of World War II. Ivan Reitman previously attached to direct. George Miller previously attached to direct. Joss Whedon previously attached to direct, but left due to creative differences. Logline: The friendship of two high school girls is disrupted when one girl starts dating the other one’s older brother. SSN Insight: Kelly Fremon Craig previously wrote the screenplay for Post Grad and has written a new draft for Paramount’s in development film, Intimate Strangers. This film marks her feature directoral debut. Details: Sequel to “Bridget Jones’s Diary” (2001), directed by Sharon Maguire and starring Renee Zellweger, Hugh Grant, and Colin Firth, and “Bridget Jones: The Edge of Reason” (UK/USA/2004), directed by Beeban Kidron. Logline: Jack, a renowned professor of archeology at the Terracotta Warriors Museum in Xi’an, teams up with beautiful Indian professor Ashmita and assistant Kyra to locate India’s lost Magadha treasure in Tibet. SSN Insight: Viacom18 was previously attached as production company, but exited the project during principal photography. Details: Based on the Camcom videogame “Resident Evil.” Sequel to “Resident Evil (2002),”Resident Evil: Apocalypse” (2004), “Resident Evil: Extinction” (2007), “Resident Evil: Afterlife” (2010) and “Resident Evil” Retibution” (2012). SSN Insight: The film will pick up immediately after the events in Resident Evil: Retribution. Filming took place in Cape Town / Hartbeespoort Dam, South Africa. Logline: The true story of New Jersey heavyweight boxer and womanizer Chuck Wepner. SSN Insight: Jeff Feurerzeig was previously attached to direct. Christina Hendricks was previously attached to co-star. Logline: The true story about the keepers of the Warsaw Zoo, who helped save hundreds of people from Nazi hands during World War II. Details: Based on the book “The Zookeeper’s Wife: A War Story” written by Diane Ackerman and published by W. W. Norton on September 4, 2007. SSN Insight: Angela Workman previously wrote Snow Flower and the Secret Fan and The War Bride. SSN Insight: Anne Hathaway is attached to Cover Your Assets, Robopocalypse, The Burning Woman, The Lifeboat, The Low Self Esteem of Lizzie Gillespie and The Modern Ocean– all in active development. Logline: A group of criminals target other criminals as their victims. Details: Based on the novel “Dog Eat Dog” written by Edward Bunker and published in 1995. SSN Insight: Project was previously in development at Hand Picked Films and Michael Mailer Films with Michel Shane, Anthony Romano and Michael Mailer attached to produce an adaptation written by Edward Bunker and Richard Stratton. Richard Stratton was previously attached to direct. SSN Insight: Ice Cube’s upcoming films include Ride Along 2 and Barbershop: The Next Cut. Logline: Cross-dressing teen Billy is a new student at an ultra-conservative high school who takes a stand for his individuality by running for Homecoming Queen. Details: Based on the novel “Freak Show” written by James St. James and published by Dutton Children’s Books in 2007. SSN Insight: Bette Midler is also attached to MGM’s Avon Ladies of Amazon as well as Sweet Baby Jesus, both in development. Logline: A thirty year old man attempts to continue raising his deceased sister’s seven year old daughter, a kid-genius, while battling his own mother for custody. SSN Insight: Project was included on the 2014 Black List. Details: Based on the real-life experiences of former FBI agent Michael German, who spent years undercover with U.S.-based neo-Nazi and militia groups. SSN Insight: Daniel Radcliffe can next be seen in Now You See Me 2 and Swiss Army Man. Logline: A precocious little boy, being raised by his single mother and serving as a surrogate father to his younger brother, develops feelings for the girl next door and, to protect her from ongoing harm at the hands of her father, plots a murder. SSN Insight: Thea Sharrock was previously attached to direct. Logline: A satirical fictionalized behind-the-scenes look at the Afghanistan war from the military commanders with their high-stakes decisions and infighting, to the soldiers on patrol. Details: Based on the book “The Operators: The Wild and Terrifying Inside Story of America’s War in Afghanistan,” written by Michael Hastings and published by Penguin on January 5, 2012. SSN Insight: When “War Machine” was in preproduction, Netflix acquired distribution rights for both theatrical and digital streaming for an estimated $30 million, marking the company’s biggest investment to date in a single feature film. Brad Pitt’s character is based on real-life General Stanley McChrystal, US Army, retired. SSN Insiders are industry insiders and analysts. Get the latest SSN Insider news delivered right to your inbox. Sign up for our free e-mail alerts and newsletters. SSN provides entertainment trade-news aggregation, analysis and insider viewpoints to the Industry’s top decision makers. Promote your product or service to our large, highly targeted audience. Click here for more information. Copyright © 2015 TSS News, LLC. All rights reserved.